Booking Simon Mann will go down a storm at your special event! We are a booking agent for Simon Mann, and can arrange for him to entertain your guests. Captain Simon Mann is a British mercenary and former Army officer, who received a 34 year sentence in Equatorial Guinea as a political prisoner for his role in a failed coup d’état in 2004. However, in 2009, he obtained a presidential pardon and was subsequently released. Mann is a highly sought after public speaker and uses his personal experiences to interest, inspire and entertain audiences. 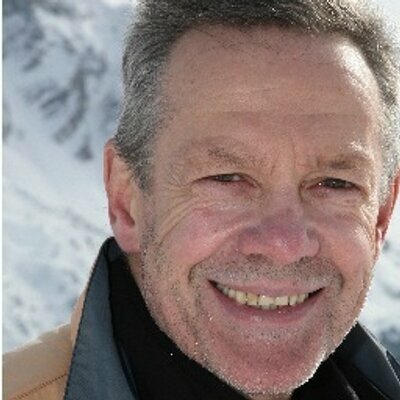 After leaving Eton College, Simon Mann trained to be an officer at Sandhurst and was commissioned into the Scots Guards in 1972. He progressed throughout the ranks, becoming a Lieutenant in 1976, and later became a member of the SAS. He served a total of ten years, leaving the forces in 1985, and during his time served in Cyprus, Germany, Norway and Northern Ireland. Upon leaving the Army, Simon Mann began a career in computer security. He gained qualifications in Programming and also Systems Analysis and Design and worked for two IT businesses, focusing on both combat intelligence and electronic security. 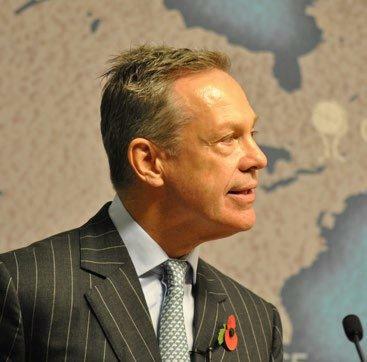 During the Gulf War, however, Simon Mann was recalled to action. He joined the staff of General Sir Peter de la Billiere and served a further two years. When he returned from his service in the Gulf, he briefly entered the oil industry and became an oil and gas exploration executive. In 1993, UNITA rebels in Angola seized the port of Soyo, closed its oil installations and plunged the country back into civil war. In response, the Angolan government sought mercenaries for assistance and Mann, along with others, formed Executive Outcomes (EO) and turned round the Angolan war as a result. 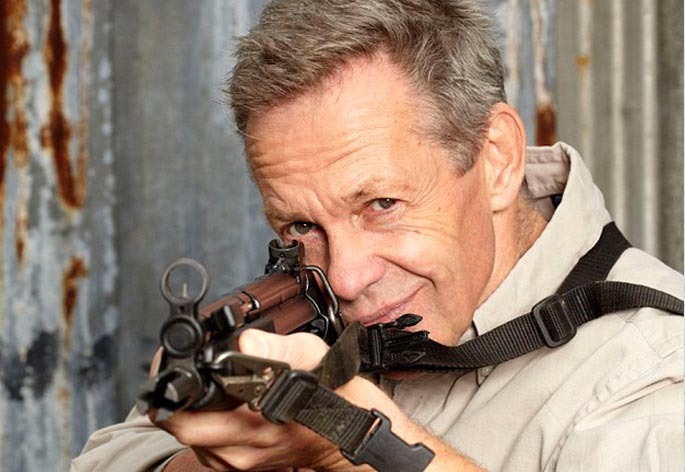 Simon Mann went on to establish Sandline International, a private military company offering military training and operational support to governments and co-operations in crisis. The company was involved in conflicts in Angola, Sierra Leone and Liberia. However, their most famous work was in 2004, when the notorious Equatorial Guinea coup attempt took place. The failed coup d’état led to Mann’s arrest and, in August 2004, the 14 men involved in the mercenary advance guard were sentenced to 34 years in prison. In 2009, after five and a half years in two of Africa’s toughest prisons, Simon Mann received a presidential pardon on humanitarian grounds by President Teodoro Obiang Nguema. He then began an emotional journey home, finally returning back to England on 6th November. Since his release, Simon Mann has made a number of public appearances, particularly as a corporate and after dinner speaker and his memoir, Cry Havoc, was published in 2011. He discusses a range of topics, including Sub-Saharan Africa, leadership, teamwork, strategy and mental survival. Contraband is the UK’s top booking agent, with amicable, experienced account managers who guarantee you the best deal possible. Contact us today if you would like to book Simon Mann to be the headline of your event! We as your booking agent are more than happy to help you create the most memorable moments with Simon Mann. A fascinating character who has led the richest of lives. His justification for what he does is riddled with moral dilemmas but it provokes huge interest and debate. I found Simon one of the most interesting and inspiring after dinner speakers I’ve heard. He was so unassuming and candid… A fascinating man.